Superior quality Mercury Cougar parts for your early model Cougar. 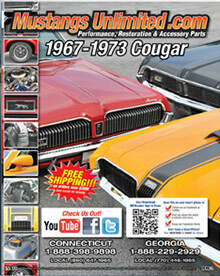 Shop for 1967 Cougar parts to 1973 Cougar parts and accessories, and quality parts from all the years in between! Your discount will be calculated automatically at checkout on the Mustangs Unlimited website.